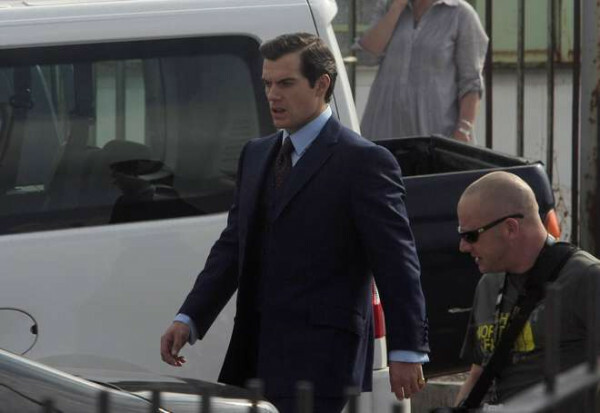 Henry Cavill in 2013, during filming of The Man From U.N.C.L.E. Mission: Impossible-Fallout is about to reach theaters. There are a number of oddities concerning the movie’s co-star, Henry Cavill, during the publicity build-up. Unasked questions: No entertainment reporter (as far as the blog can tell) has asked Cavill an obvious question. The previous Mission: Impossible movie (Mission: Impossible Rogue Nation) helped cause one of your previous movies, The Man From U.N.C.L.E., to crash at the box office. Do you find it ironic you worked on the next M:I film? 2015’s Rogue Nation originally was due to come out at Christmas 2015. But Paramount moved the fifth M:I film up five months to get out of the way of Star Wars: The Force Awakens. As a result, Rogue Nation came out just two weeks before Cavill’s U.N.C.L.E. film. In the U.S., U.N.C.L.E. was No. 3 in its opening weekend, behind Straight Outta Compton and Rogue Nation (in its third weekend of release). The U.S. market didn’t appear interested in two spy movies the same weekend and Tom Cruise & Co. were still going strong. It might be interesting to hear Cavill reflect on that. But it hasn’t occurred to interviewers. But, hey, questions about Cavill playing James Bond! At least that appears to be the take Yahoo Movies UK took IN THIS STORY. And, after all, Craig is doing Bond 25, which doesn’t even start filming until December and won’t be out until fall 2019. What about an U.N.C.L.E. sequel? The 2015 U.N.C.L.E. film gets more critical love now than it did when it came out. But there have been absolutely no signs there is any real movement toward a sequel. A screenplay may have been written. But Hollywood is littered with scripts that were never filmed.